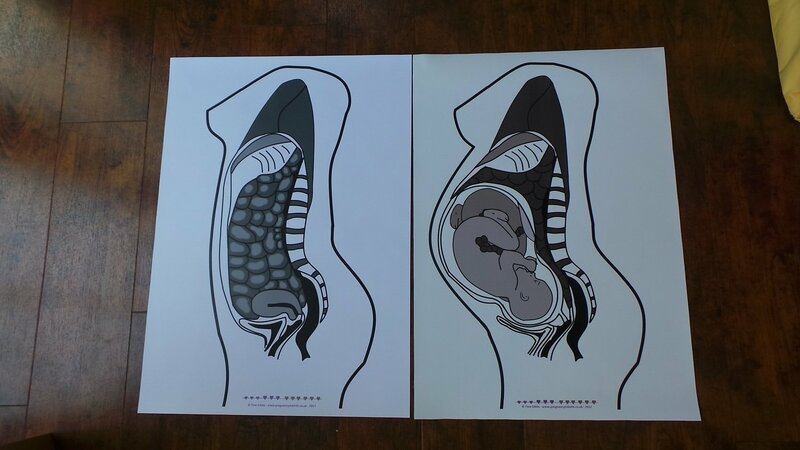 Cross Sections pregnant twins / non-pregnant A2 poster set (printed on durable PVC). Set of 2 posters (A2). Posters can be used to show, explain and explore changes to a woman's body when she is pregnant. These posters are also useful to introduce birth vocabulary to a group of expecting parents. 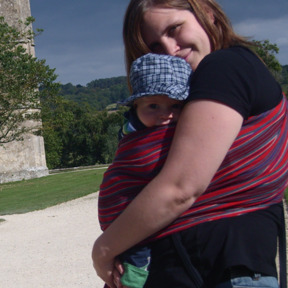 Available as set of singleton birth (one baby) or twin birth (twins). Great re-usable teaching aid. Printed on durable PVC. The banner / poster is waterproof. NOT suitable for use with dry-wipe markers! *UK & Europe only. If you live outside the Europe, please contact me with the items you'd like to purchase and I'll send you a quote for postage costs and will invoice you separately.